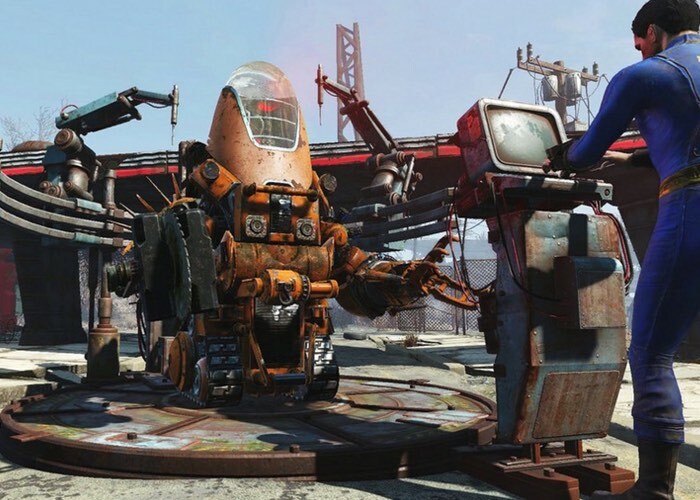 Matt Grandstaff Global Community Lead at Bethesda Softworks has taken to the official PlayStation blog this week to announce the launch of the new Fallout 4 Automatron taking place on March 22nd, 2016 on the PlayStation 4. The Fallout 4 Automatron is the very first add-on for the Fallout 4 game and you can learn more about the content and what you can expect to enjoy in the new official trailer which is embedded below. In April, we’re expanding the capabilities of settlements with the second add-on, Wasteland Workshop, and in May, travel beyond the Commonwealth to Maine for Far Harbor — the largest landmass Bethesda Game Studios has ever created for post-release content. And that’s just the beginning, with even more add-ons coming later in 2016. Stay tuned for more details on free updates like Survival Mode and the Creation Kit, which will allow you to create mods on the PC and then share and play them across all platforms, including PS4. For more information on the new Fallout 4 Automatron add-on jump over to the official PlayStation blog website for details via the link below.